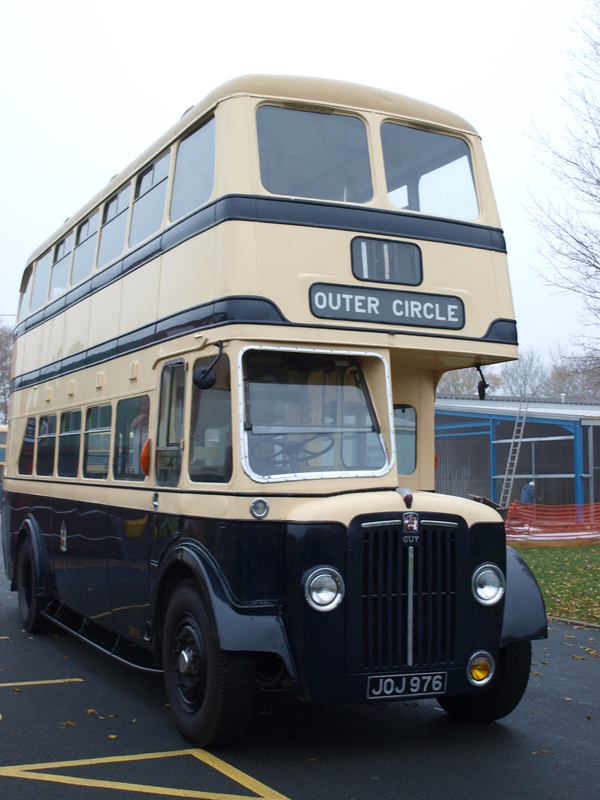 Yes today is 11-11-11 and our trip around Brum’s Outer Circle Bus route is over. I’ll be posting a more details of our special journey and some pictures over the next couple of days. We have raised over £500.00 for our two chosen charities today. Keep coming back to this site for more information about trips next year. Send an email to outercirclebus@1066.uk.com to be included in our mailing list. This entry was posted in 11-11-11 and tagged 11-11-11, 1950s Birmingham Corporation Double-Decker, Birmingham, Birmingham City Transport, Guy Arab IV, Outer Circle Bus, Wythall Transport Museum. Bookmark the permalink.